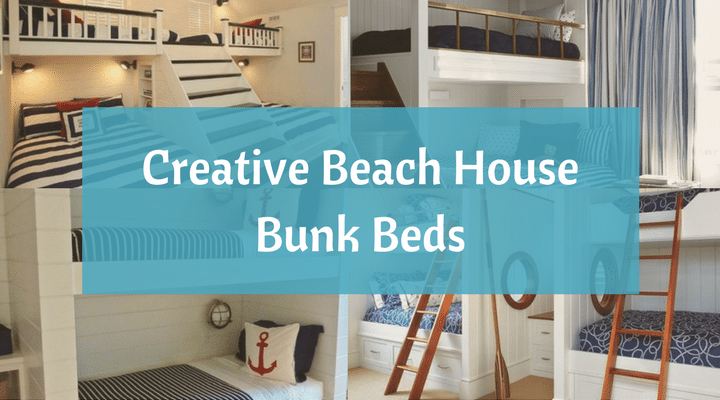 If there are kids in your family with a nautical bent, what better way to jazz up their rooms than with beach-themed bunk beds? 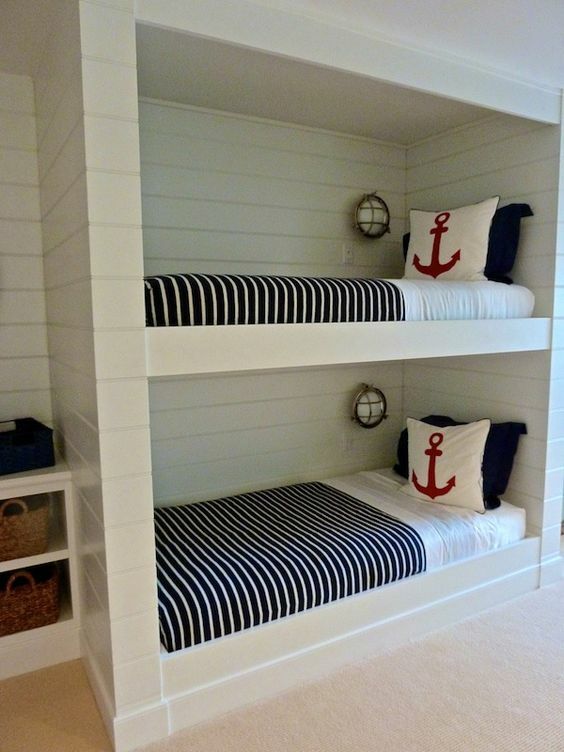 Bunk beds don’t just save space, they also add a sense of adventure and fun to the room. No matter how young (or old) you are, one of these ideas is sure to float your boat! 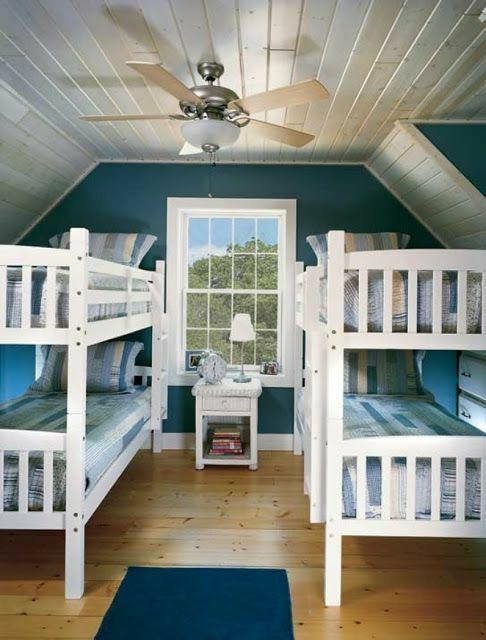 Double the fun with these blue double bunk beds! The high ceilings and large windows lend the room an airy feel. 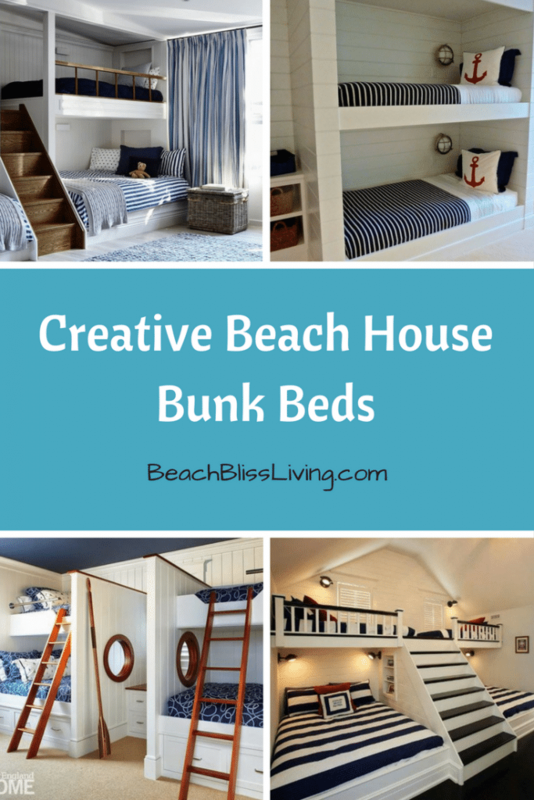 Comfortable wide beds below with cozy bunks above. Wooden rail for safety and stairs for easy access. Add some sailing vibes with anchor pillows and ocean themed lights. 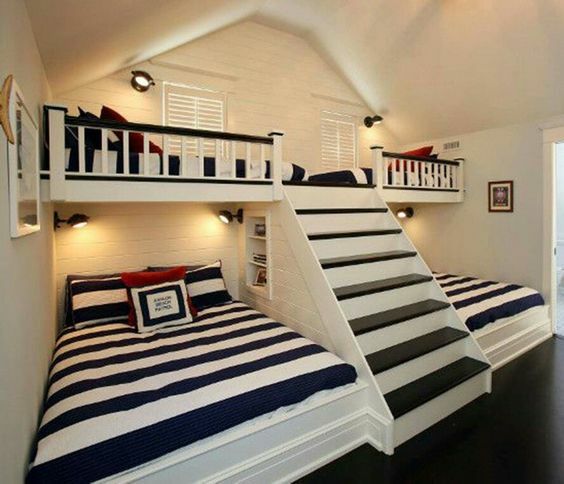 Navy blue and white sheets also give a naval touch. Built-in drawers provide storage to tidy away clutter. 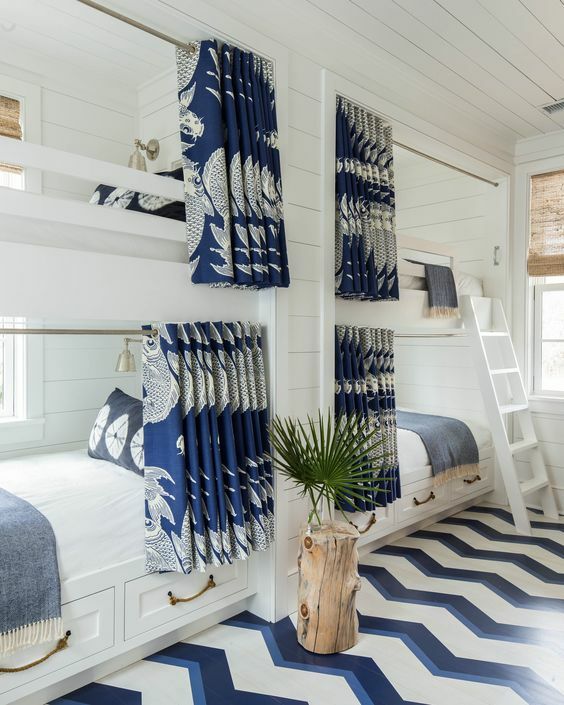 Blue and white curtains and bed sheets continue the ocean theme. Full-size beds below provide plenty of room and the smaller bunks above are accessed by stairs. Book shelves built into the staircase provide convenient access to books and other items. 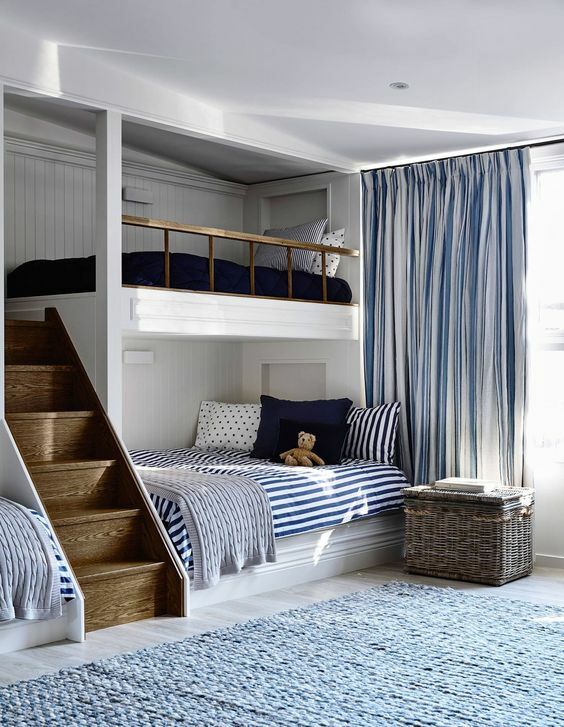 White built-in bunks with portholes, drawers and wooden ship’s ladder. The boat’s oar is great for decoration. 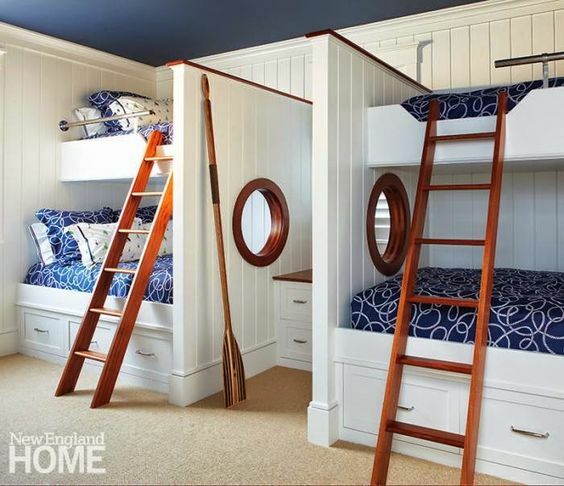 These simple white bunk beds are reminiscent of naval ships. Perfect for all ages. There are so many ways for you to bring your love of the sea into the bedroom! Take inspiration from these pictures, or come up with something totally new. You will love the reactions from delighted children, guests and visitors.